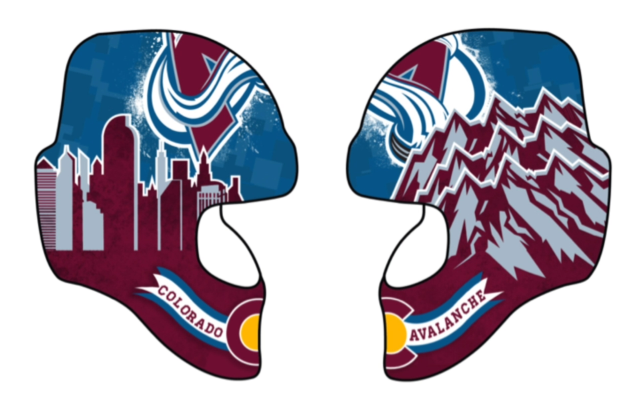 As part of the Colorado Avalanche's fan appreciation night, they invited fans to design a new mask for J.S. 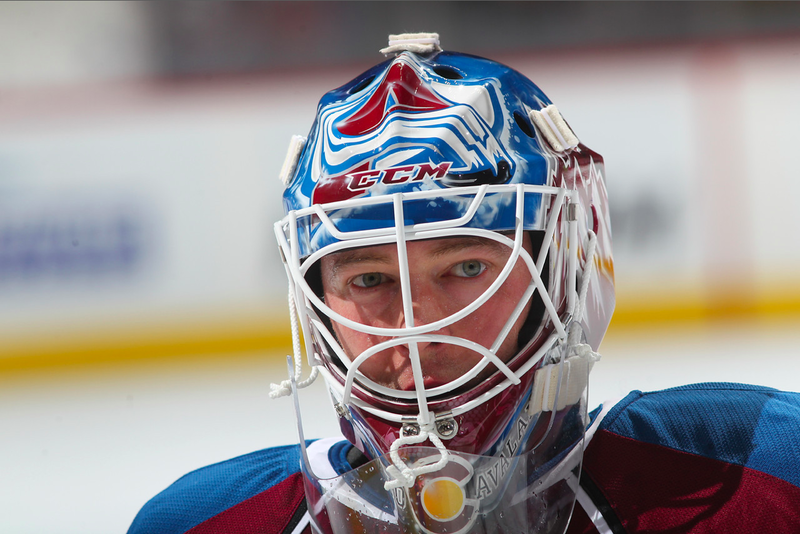 Giguere. Designs were then voted on by the public in an online vote. Thanks to some HJC readers perhaps, back-to-back HJC Concept of the Year artist Justin C., was the winner! There were several other prizes that went along with seeing your design come to life. I could sit here and write about all of them, but I'll let Justin explain his monumental achievement in his own words. The experience itself was something I'll never forget! As you know, Jiggy has been my idol since I was about 7 years old (longggg before his Avs tenure) so meeting him was a dream come true in itself. 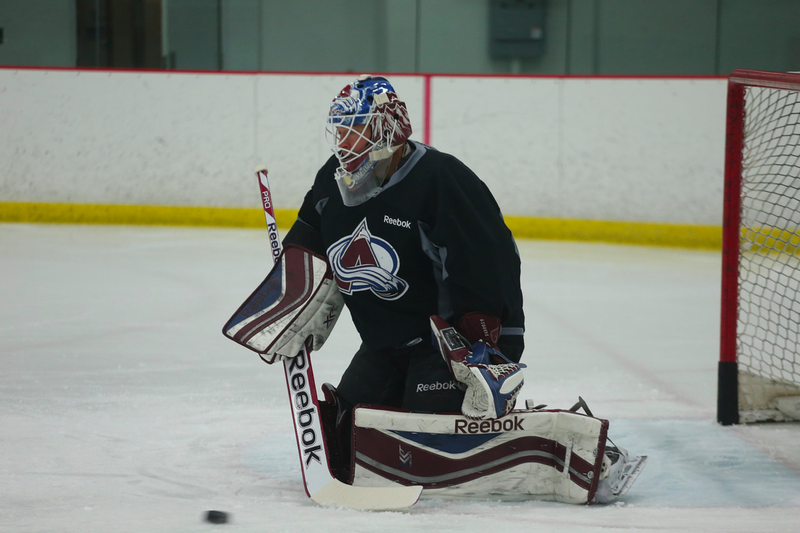 I got a call Thursday night asking if I'd like to come to the Avs practice facility Friday morning, as Giguere was sort of running a "captains practice" (sort of) for a few of the players. All I thought was I was going to come watch but as I arrived I actually got a sneak peak of the mask for the first time and met Giguere before practice! Friday was truly amazing because I actually had the opportunity to meet Jiggy and spend close to an hour with him just talking, looking at the mask, and doing some interviews. Afterwards I was able to watch him take the ice wearing the mask, which was truly surreal. 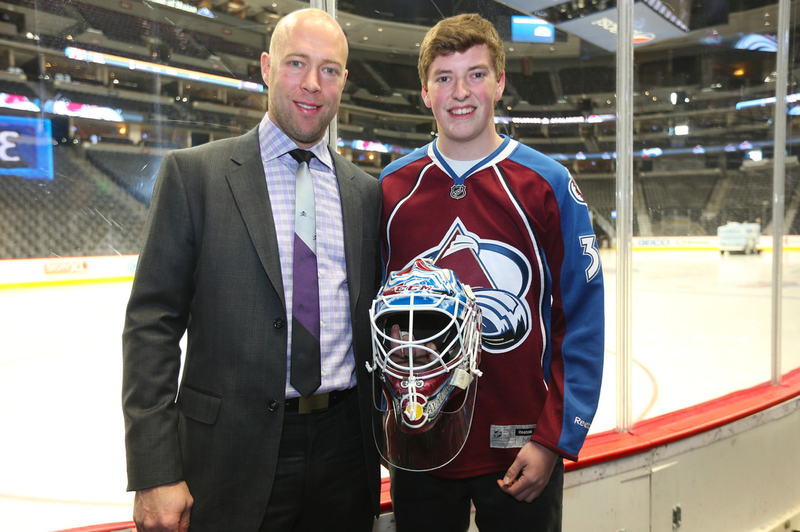 On Sunday, I arrived at Pepsi Center a few hours early and met with Giguere again and did some photos and interviews. 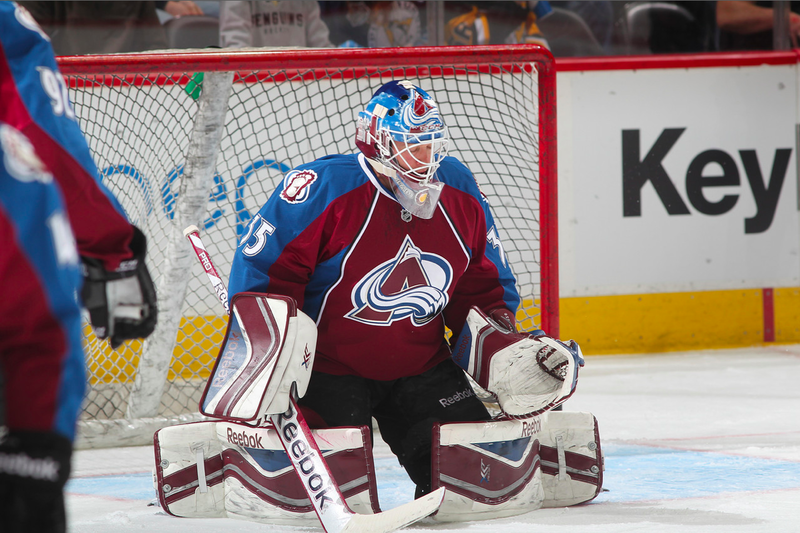 I didn't get as much one on one time with Giguere since he had to obviously get ready for the game but a rep from the Avs gave myself and a few others a tour around Pepsi Center (saw a few Pens and Avs players stretching and playing soccer) and then settled into our seats for the game. Pre-game, I was able to watch warm-ups from the glass behind the net and was able to see Jiggy wearing the mask in uniform! Coolest thing I've ever experienced! After, I just had to do a few more interviews and a live one on the jumbotron, and was actually able to ride the zamboni at intermission. 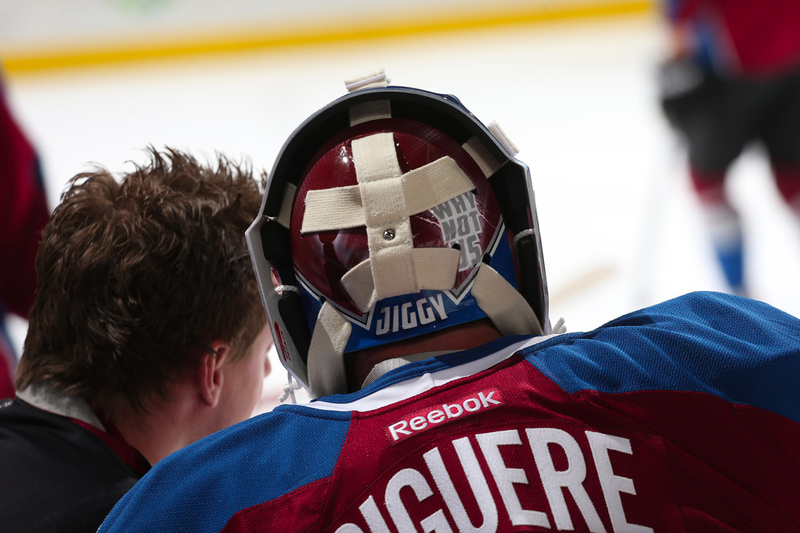 Then after the game Jiggy gave the mask to me, which I am now the proud owner of! 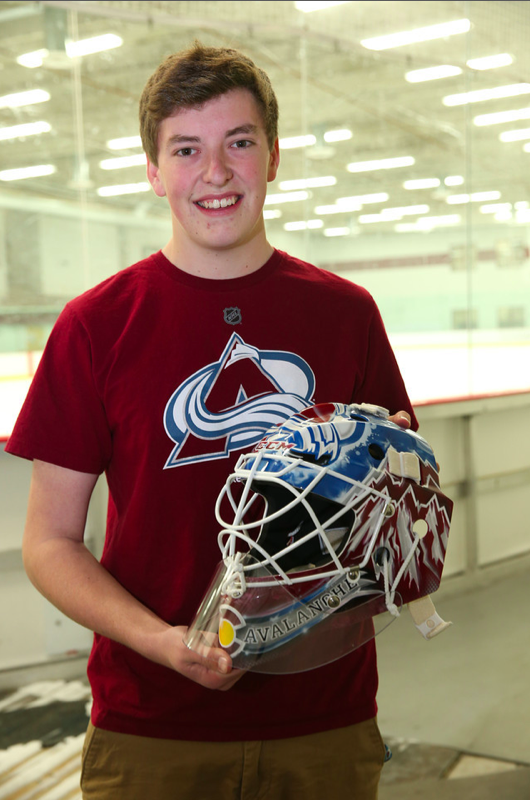 I would have loved for him to keep it (and he seemed to really like it) but I'm sure goalies have their own superstitions and it was a part of the contest that I get to keep the mask. 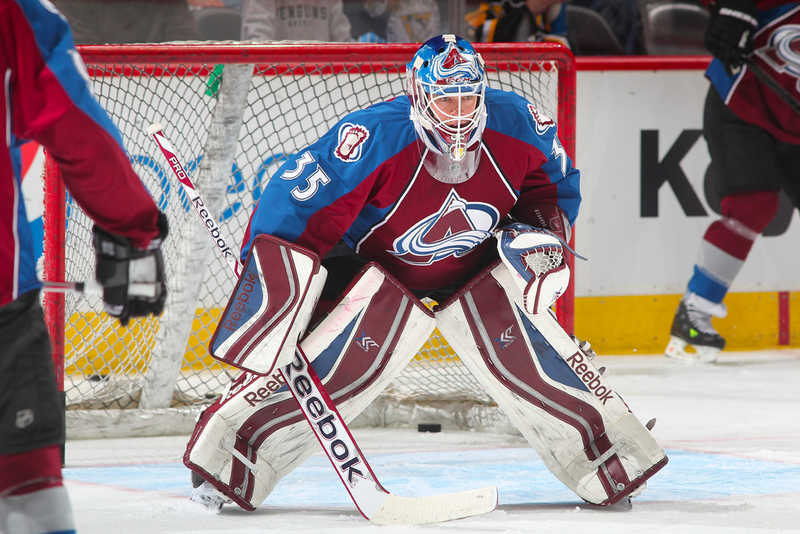 But seeing Giguere wear my design and everything that came with it was absolutely amazing, and I just have to say, the Avalanche organization are class acts and I can't thank them enough. The whole weekend was incredible and I can't thank you, Ryan, enough for all of the support and helping me get some votes! Also, in a few interviews I mentioned HJC and that I love to design jerseys for your site, so hopefully it'll show up somewhere! What an amazing story and unbelievable experience Justin! I can't help but to be jealous. It seems like a once in a lifetime opportunity and you really savoured it. Congratulations on achieving something that most people will only ever dream of.